- Single Clamping action stand to hold and set micrometer at various angles. - Chrome Plated clamping 'C' and black oxidized clamping Screw with cross knurled handle. - Suitable for Digital and mechanical micrometers. - Maximum possible involvement is 180°. - Enameled Stand with Cast Iron base. 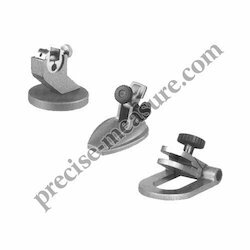 Our vast range of micrometers has gained huge appreciation from clients due to its superior quality, high accuracy and easy handling. A micrometer is also known as a micrometer screw gauge that is a device, which incorporates a calibrated screw. This screw is widely used to measure precisely small distances in mechanical engineering and machining. 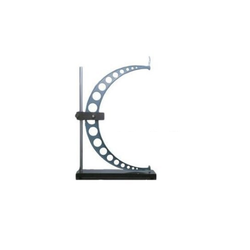 - These stands are designed to allow bench-top use with hand micrometers or other gages. - Can hold upto 100mm.